We love playing board games, especially over the holidays. It’s a fun way of spending time and interacting with our children that doesn’t involve putting on the television or firing up the games console. We’ve put a list of our favourite games that are fun for both children and adults! 1. 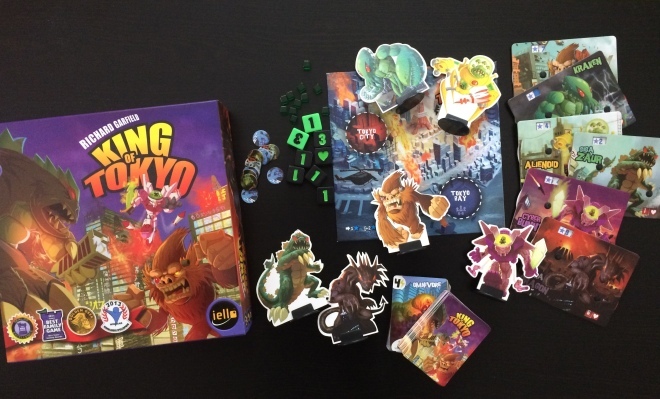 King of Tokyo: Hands down, this game is the best to gift to new board gamers. I don’t think I’ve heard anyone personally say that they did not have a great time with this, kids and adults alike. 2. 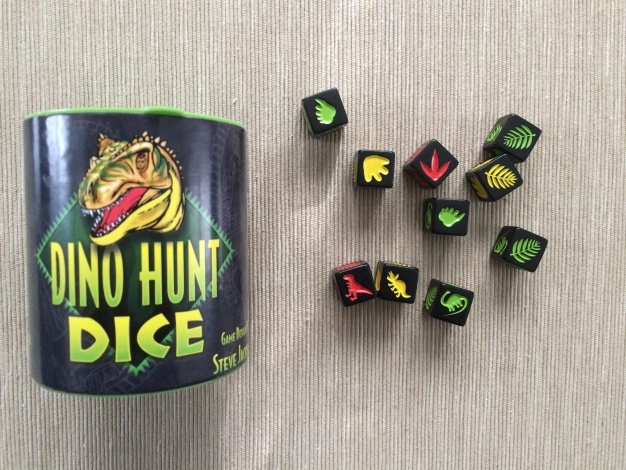 Dino Hunt Dice: This is a very simple game that even young kids can play. It’s great to take with you if you are waiting at the airport or at a restaurant. And, you know, dinosaurs! 3. Zombie Dice: This isDino Hunt Dice‘s big brother, with very similar rules: you roll dice and collect brains, but don’t get shot! Again, it’s simple, but involves a little strategy. There are also a couple expansion packs available to add even more fun to the mix. 4. Shinobi Wat-AAH! : Practice your ninja skills! 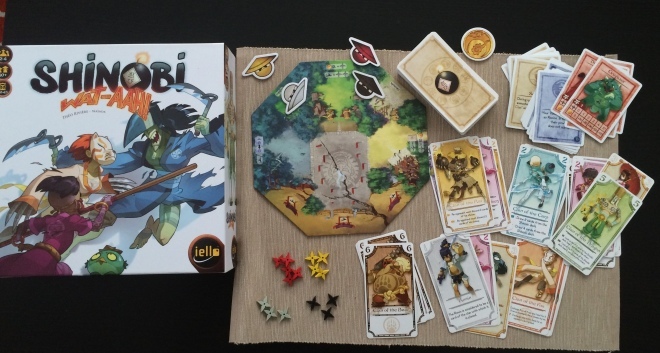 Again, simple rules, and there are two levels of play–one with just cards, where you build clans, and another with a board that is slightly more complicated but still is a lot of fun. We love the art work in this game. 5. 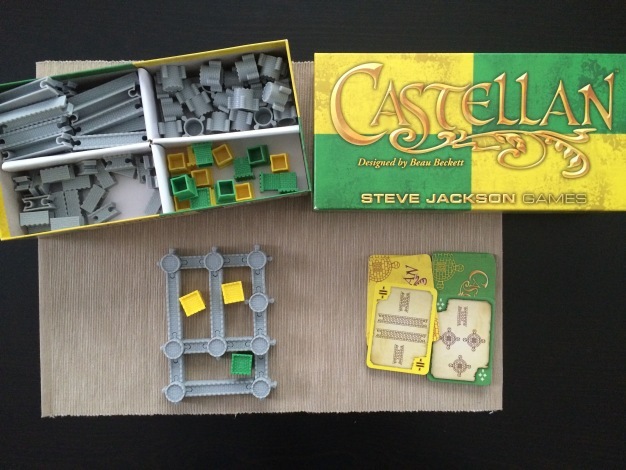 Castellan: A game of competitive engineering. You draw cards that tell you which pieces you can use, and build pieces onto a castle. When You enclose an area, it’s yours! At the end, you count up how many towers are in your enclosures. Whoever has the most, wins!